Spiritual Cinema Circle Now Streaming! Now you can see the most heart-stirring, mind-opening movies every month – streaming to all your devices (and you can still get them on DVD if you prefer). Check out the new Spiritual Cinema Circle website to learn more. In a guided movement meditation we explore the elemental affinity between our bodies and the living breathing planetary body. Susan will offer perceptual practices to liberate habits of perception, and to awaken the spiritual imaginative capacity of the heart. We listen into the sensuous intelligence in our organism and the living matrix, until we can perceive through feeling, a subtle emergence — a new movement birthing — an insight that is surprising, fresh, yet ancient and wise. We meet that which is not yet known. 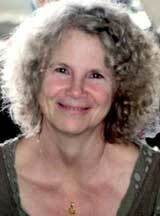 Susan Harper is a Continuum Movement teacher, heart-soul-counselor, creative instigator, and inspired teacher of perceptual and movement inquiry. Since 1975, Susan has been teaching internationally and contributing to the development of Continuum Movement, which was originated by Emilie Conrad. Susan has the ability through personal demonstration of sounds, breaths and movement to transmit a primal and spiritual fluidity that inspires participation resulting in embodied innovative discoveries. Her students call her a moving storyteller, a dream weaver, one who opens portals into the vast space of creativity, which is available in all human beings. She creates contexts for those who love to inquire, who dare to listen at the edge and in the depths—to be in the frontier conversation—who are aware of the adventure of courting the unknown. Susan is the creator of Continuum Montage, and developer of Body of Relating, Body of Perception, and Living Dreams Seminars. In these events, fresh heart-based perceiving and moving instantly affects how we relate, and our fundamental sense of belonging. The emphasis is on somatic awareness, soulful movement, and the skills of intimacy. The practices open vital new ways of perceiving, creative imagination, and a deep capacity for presence, resonance, and love. 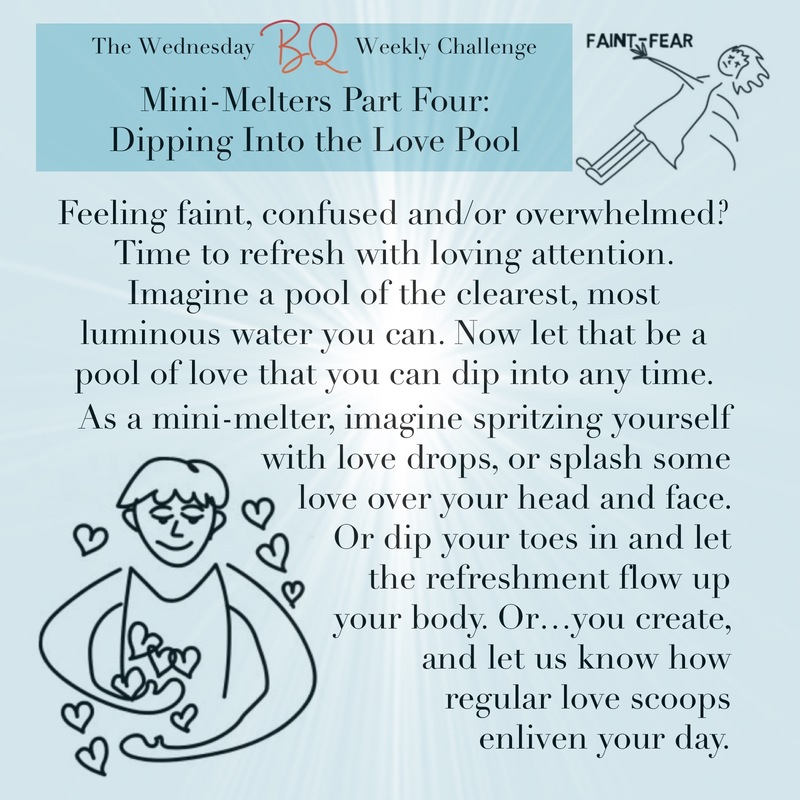 This activity is a kind of mini-Fear Melter™ that you can do in your car at the stop light, at your desk, in transition, or any time you want to refresh your aliveness. Simply lean your head forward (smartphone tilt angle), open your mouth slightly, and easily shake your head side to side. You can make noise if you dare or simply enjoy the stress release of face flapping. Warning: it’s contagious. The Daily Creativity Booster is an effective and fun way to refresh your whole body and brain and open more creativity in just ten minutes. Did you know it’s possible to increase your well-being in just 20 seconds? A simple 20-second hug has been proven to reduce stress, relieve symptoms of depression and increase self-esteem. All in just 20 seconds. Watch this video to learn more, and while you’re watching, give yourself a hug. Filed Under: Big Leap Programs, Co-Creating Caring Communities, What's the Buzz?